Last week, a new Inklingo collection for a log cabin using .50″ logs was released. Up until recently, I have never been inclined to make a log cabin but I loved having the rectangles with all the matching points and stitching lines, as there are a lot of uses for rectangles. 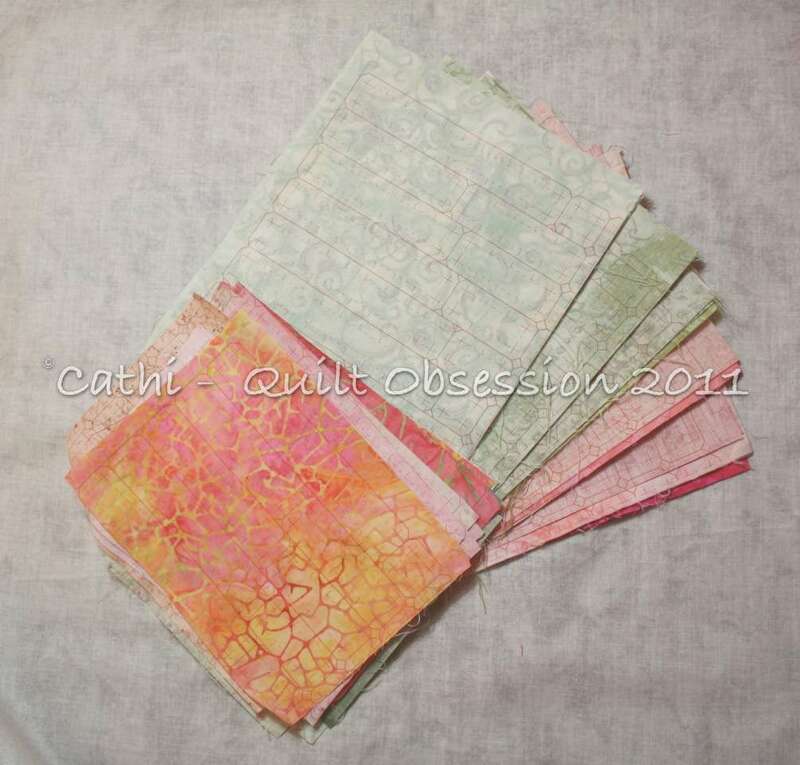 On Thursday, though, I started playing with some ideas and printed 2 sets of the logs on 16 pink and 16 green fabrics. As I’m contemplating stitching this by machine, I printed with a somewhat darker ink than I would use for hand piecing. After cutting out a few of the logs, I started playing with laying them out using my design book. 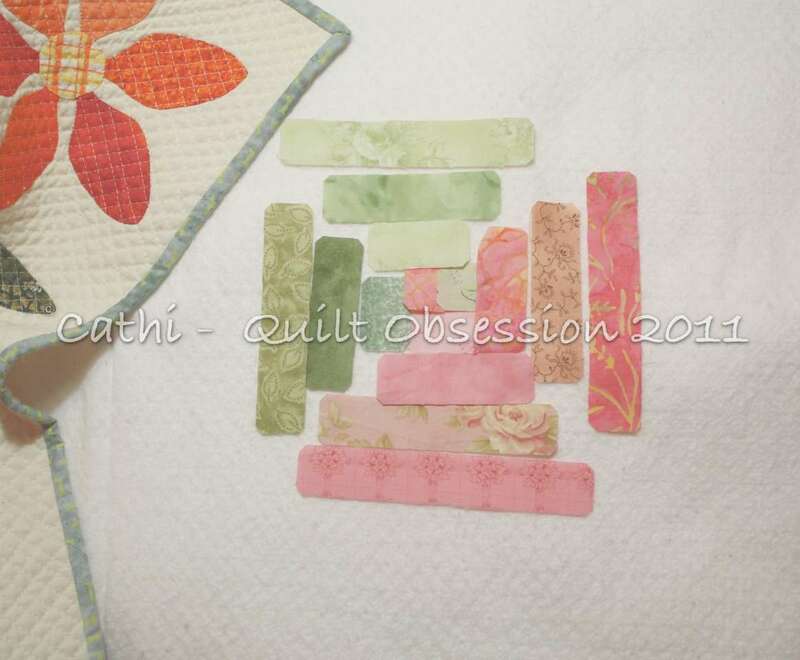 I hope to spend some time on the weekend stitching at least a couple of these blocks. It won’t be a large quilt, probably only a small table topper or teddy bear quilt, but I’m looking forward to seeing the blocks come together. If I actually stitch these by machine, it’s possible I’ll have made 2 quilts by machine within a couple of weeks. That’s rather hard to believe! 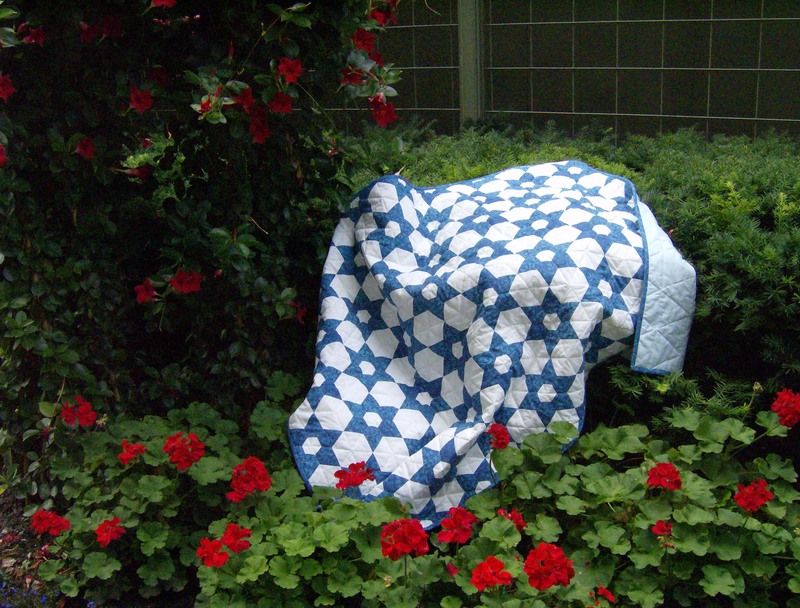 Today I’ll be working on the baby quilt all day and evening. It has to be finished up to the point of getting the binding on by the time the night’s over as I’m heading off to the Creativ Festival Saturday afternoon. I can tack the binding down Saturday night and then wash it on Sunday morning in time for the baby shower. Then I get to play with the log cabin blocks. Smudge was posing for the camera Thursday night. We’re seeing quite a change in him. He’s much more vocal and wants to have us within his range of vision at all times. I am impressed with how much you do get done! I am suspecting that the machine may become a trend for you??? I like your fabric choices for the log cabin blocks! 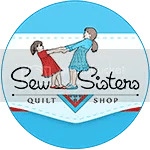 Don’t let that machine be your enemy, although your hand piecing is so perfect! What is the Creative Festival? Sort of a craft fair type of thing where everyone makes different craft items? 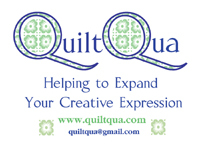 Are there a lot of quilts involved? I like your pink and green choices for your log cabin. Have fun making a few this weekend. Love the colors you have chosen. The second picture isn’t showing up. Poor ol’ Smudge, he’s feeling a bit insecure right now. The pink and green will be great in the log cabin. I think you will enjoy it, nice short seams and straight lines. You might find you actually want to do more by machine. The pink and green look so pretty together. I just love love love that red and white sunburst block on the prior post. 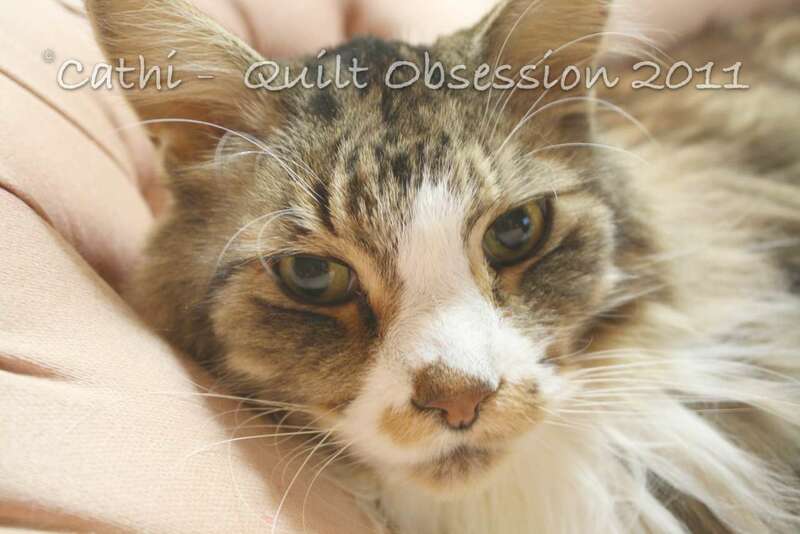 I love the fabric you have selected for your log cabin, very soft and pretty. The fabrics are going to make a lovely little log cabin quilt (wow now that’s alliteration!). I bet Smudge needs extra love and attention and is feeling lonely. Please give him a big hug for me.